Add to your collection and improve its value with an experienced Civil War currency collector. Pierre Fricke – Antebellum Coins and Currency is a well-known and award winning author, collector, and dealer. He is the former President of the Society of Paper Money Collectors, as well as a member of the Professional Currency Dealers Association and the Professional Numismatist Guild. He upholds a compelling reputation and track record for fair dealing. Learn more about our company below, and be sure to request a consultation for any of Pierre’s numismatics services. I started my numismatic travels in 1969, when my grandmother gave me a box of old coins that I found to be fascinating. By 1973, I was an advanced collector of early American large cents by variety. I added bust half dollars to my collecting interests in the late 1980s and 1990s. I researched my family history in Louisiana going back to the 1700s, learning more about the history of the early U.S.A and the South. 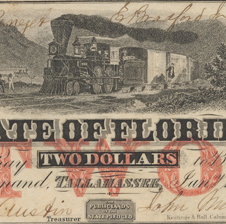 Fascinated with the impact and importance of the Civil War in American history through today, I decided to focus on Confederate fiscal paper – notably Treasury notes and bonds, beginning my own Confederate paper money collection in 2001. Building upon and expanding the late Dr. Douglas Ball’s research, I wrote Collecting Confederate Paper Money – Comprehensive Edition 2005 which was named the best U.S. Paper Money book of the year by the Numismatic Literary Guild and received the SPMC Wismer award for the best paper money book in 2006. An updated, portable version – Collecting Confederate Paper Money – Field Edition 2014 – is now available. George Tremmel, Marty Davis, and I authored Confederate Treasury Certificates – A Collector’s Guide to IDRs in 2010. 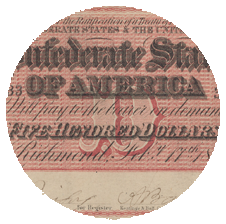 In June 2012, Pierre Fricke and Fred Reed authored History of Collecting Confederate States of America Paper Money – 1865-1945 – part of a growing series on Confederate fiscal collectibles. Pierre was awarded the Society of Paper Money Collectors prestigious Forrester Daniel award for literary contributions to the hobby. 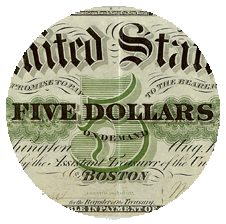 Building on this experience, I have added obsolete paper money, United States Civil War era paper money and coins, Fugio coppers and half cents to my repertoire covering many of the popular areas to collect in antebellum numismatics. Over the years, I collected Confederate paper money, Southern States paper money and other Confederate items, 1860s Large Type Federal (Union) paper money, as well as Fugio coppers (1787) by Newman variety. I have completed my Confederate paper money variety, Confederate bond, and contemporary counterfeit Confederate paper money collections. I completed a 1796 large cent collection by Sheldon variety. Also, I have completed a collection of U.S. large cents illustrating many different colors of the copper coins. 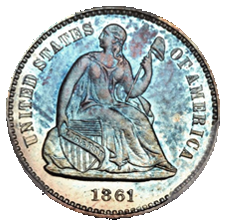 I am also a dealer and a strong buyer of Confederate and US Federal Civil War currency and related items as well as many early American copper and Civil War-dated U.S. coins. 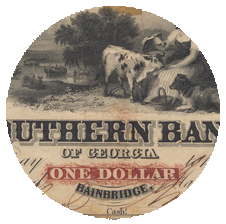 I help people build unique, rare Confederate and Southern State paper money and early American copper and Civil War period collections. 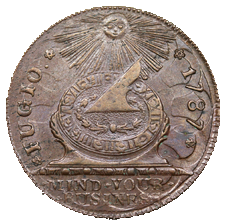 As a Past President and current Governor of the Society of Paper Money Collectors, a member of the Professional Currency Dealers Association, a member of the Professional Numismatic Guild, a member of the Early American Coppers organization and American Numismatic Association, I continue to be active in the hobby.